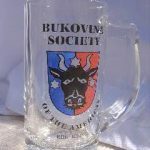 Please email us at info@bukovinasociety.org for postage costs to destinations outside of the United States before making a purchase. Bukovina Map (G. Freytag) Full color 12” x 16” suitable for framing. Orthographic spellings of place names as used in the Austrian period. 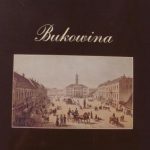 Bukowina: Landscapes - Buildings - Monuments by Irma Bornemann and Paula Tiefenthaler (Munich: Landsmannschaft der Buchenlanddeutschen, 1986) 224 pp, Hardcover. The book includes 70 color and 38 black and white photographs from Bukovina. Preface and captions in German, English, and French. The Bori Story: Genealogies of the German-Bohemian Families Who in 1835 Founded Bori in Bukovina (Now in Romania) with History of the Village and Its People by Sophie A. Welisch, PhD, Maria Becker, and Larry Jensen, Larry (Congers, NY: The Meerow Press, 1996) 391 pp. Comb-Binding. Aside from the genealogies of the twenty-three founding families of Bori, the book also contains three articles, five maps, five charts and numerous photographs. German Emigration from Bukovina to the Americas ed. William Keel and Kurt Rein (Lawrence, Kansas: Max Kade Center for German-American Studies, University of Kansas, 1996) 300 pp, Paperback. This is a new and most definitive work on the German emigration from Bukovina to the New World. Bukovina Villages/Towns/Cities and Their Germans by Sophie A. Welisch, PhD (Ellis, Kansas: Bukovina Society of the Americas, 1990) 79 pp, Comb-Binding. 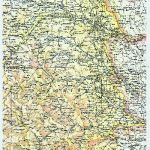 Introduces the reader to 22 localities in Bukovina where Germans settled with emphasis on their economic activities, mainly in lumbering, farming and mining as well as to their social and cultural life; contains 6 maps, 3 tables, numerous photographs. 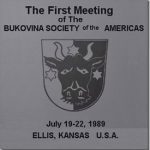 The First Meeting of the Bukovina Society of the Americas. 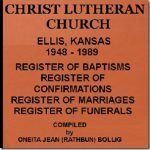 Speeches and papers from the founding meeting, July 19-22, 1989 (Ellis,Kansas: Bukovina Society of the Americas, 1989) 54 pp, Comb-Binding. Including: Bukovina Emigration, Musical Heritage, Two-page map of Bukowina, Nationalities in the Habsburg Period, a Presentation by Paul J. Polanksy Schneller and an Historic Overview by Sophie A. Welisch. Photo of the original Board of Directors. Anika by Anne Marie Hilgarth (Ellis, Kansas: Bukovina Society of the Americas, 2000) 31 pp, Comb-Binding. A biographical account of a teenaged girl who in late 1944 makes her way through the war front from Vatra Dornei in southern Bukovina to join her aunt in Austria. 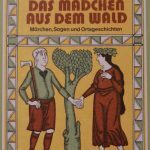 Das Mädchen aus dem Wald by Claus Stephani (Ellis, Kansas) trans. by Sophie A. Welisch, PhD. Tales of witches, enchanted forests, and elves as well as historic glimpses into the lives and traditions of Bukovina's multiethnic population. The Maiden of the Forest affords us an opportunity to touch base with our roots and at least for a moment to recapture the all-but-forgotten life and times of our Bukovinian forebears. Stories from Radautz, Altfrataurz, Fürstenthal, Bilka, Cuchenhain, Lichtenberg, Karlsberg, Althütte, Kaczyka, and Schwarzthal. Mud Poppers & Leaf whistles; Journey of a Young Austrian Immigrant by Janet M. Gagnon (United States: Xlibrix, 2007) 67 pp, Hard Cover. An historical fiction book written from the viewpoint of a young Austrian boy. Follow twelve-year old Johann and his family from a small farm in eastern Europe to the pot in Germany where they board a ship for the harrowing trip to America. They settle in Kansas and battle the elements to establish a new home. 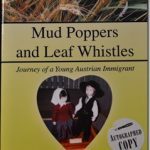 Mud Poppers & Leaf whistles; Journey of a Young Austrian Immigrant by Janet M. Gagnon (United States: Xlibrix, 2007) 67 pp, Paperback. An historical fiction book written from the viewpoint of a young Austrian boy. Follow twelve-year old Johann and his family from a small farm in eastern Europe to the pot in Germany where they board a ship for the harrowing trip to America. They settle in Kansas and battle the elements to establish a new home. Dust Clouds and Mud Puddles. 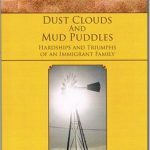 Hardships and Triumphs of an Immigrant Family by Janet M. Gagnon (United States: Xlibrix, 2010) 94 pp, Hard Cover. An historical fiction book that spans four generations of an Austro-Hungarian family. 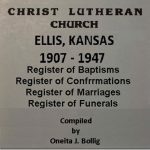 After arriving in America, the family settled on a farm in Kansas. 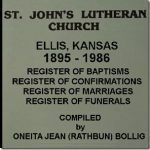 This book tells about their life on the prairie and stresses their German/Austrian heritage. It follows the family from the early 1900's until the Second World War. Dust Clouds and Mud Puddles. Hardships and Triumphs of an Immigrant Family by Janet M. Gagnon (United States: Xlibrix, 2010) 94 pp, Paperback. An historical fiction book that spans four generations of an Austro-Hungarian family. After arriving in America, the family settled on a farm in Kansas. 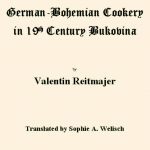 This book tells about their life on the prairie and stresses their German/Austrian heritage. It follows the family from the early 1900's until the Second World War. Available through the Publisher. Contact us. 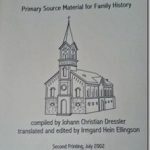 Illischestie: A Rural Parish in Bukovina: Primary Source Material for Family History trans. and ed. by Irmgard Hein Ellingson from an unpublished manuscript in German by Johann Christian Dressler (Kaiserslautern, 1944 and 1950).